Stop Cold & Flu in Its Tracks! 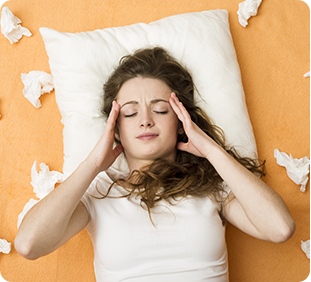 It is that time of year when you may be exposed to viruses that can cause you to feel tired, run down, and achy. With normal stresses compounded by lack of sleep and less than perfect eating habits your immune system often does not have the ability to recharge and defend your body against foreign substances. To boost your immune system, additional vitamins, minerals and other nutrients including antioxidants can be taken. There are many studies supporting the use of high-dose vitamin C to improve symptoms and shorten the duration of illness. Taking oral vitamin C is sometimes not tolerated or absorbed well. The option to give vitamin C through an intravenous (IV) infusion can provide higher dosages than can be achieved by oral administration. This allows nutrients to go directly into the blood stream, bypassing the digestive process and allows for immediate access to the cells. The nutrients act to enhance cellular function allowing your body to fight infection and disease. Some studies show that vitamin C can provide 85% reduction in symptoms and reduce the duration of illness by 2 days. It can be a powerful and effective treatment. In addition to IV vitamin C, we provide B-vitamins which improve energy and glutathione which improves function of the immune cells that fight viral illness. An IV treatment as soon as you notice any viral symptoms can help you feel better much quicker. For more information or to receive an IV treatment, contact our office at (727) 329-8859.